Michelle Bachelet, Chilean President put hammer to stone on an Andean mountaintop in the evening to mark the start of construction for one of the world’s most advanced telescopes, an instrument that can help shed light on the possibility of life on distant planets. The Giant Magellan Telescope (GMT), planned to be done by 2024, will have a resolution ten times than that of the Hubble spacecraft. Expert states it will be able to observe black holes in the distant cosmos and make out planets in other solar systems with unprecedented detail. According to Astronomers, this technology will help humans to determine how the universe formed and if planets hundreds of light years away could support life. Bachelet stated, “With this science, there are no limits to the possibilities that are open,” standing on the GMT’s site, a wind-buffeted, 8,250-foot mountaintop. “What it does is open the door to understanding,” she stated. The GMT associated with the institutions in the United States, Chile, South Korea, Brazil, and Australia, which will rely on seven intricately curved lenses, each almost 28 feet wide. Yuri Beletsky, a Belarussian astronomer for the GMT stated, “Astronomy is like archaeology; what we see in the sky happened many years ago, the biggest expectation is that we find something that we don’t expect,” he further added. 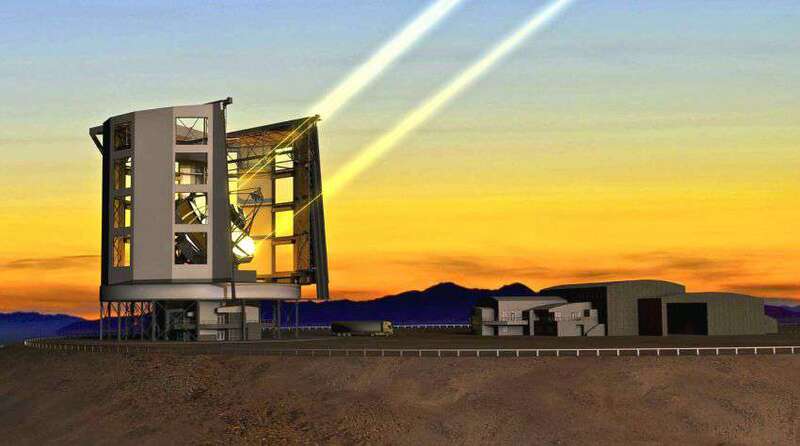 Two other massive instruments, the European Extremely Large Telescope, also in Chile, and the Thirty Meter Telescope in Hawaii are scheduled to be completed in the 2020s. But GMT President Patrick McCarthy informs the telescope’s massive single lenses and wider observation field will allow for more precise measurements. Among the phenomena he expects to observe is dark matter, mysterious invisible material that makes up most of the universe’s mass. According to the Astronomers, Chile’s bone-dry Atacama Desert, host to the GMT and dozens of other high-powered telescopes, is uniquely suited to space observation as it has dry air, high mountains, and little light pollution. In addition, McCarthy identifies that another benefit for astronomers in Chile is that the airflow from the nearby Pacific Ocean is smoother than that over continental deserts, which means scientists have to contend with less atmospheric interference.